Streetmix is an open-source, interactive tool which can be used to design streets and street networks. 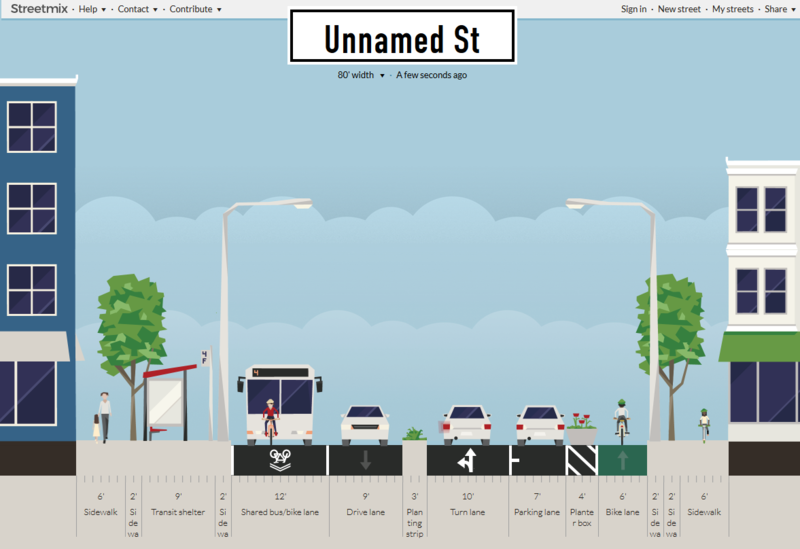 It visualises the street design process and can be used by urban planners to design sustainable urban environments. It also allows the public to become involved in the street design process, making it an effective means of public stakeholder engagement. Users can share the street networks they create with others on social media.